The beauty world calls it a Miraculous Product! No, not a new product in market, just a new one for me to review. I got one of these last year and I used it over the summer when I went for my very long 10 week Vacation to my home country. I loved how it worked in the hot, humid weather back then. I picked one for my Florida vacation this year too. Part-toner, part-serum mist of essential oils and plant active ingredients. 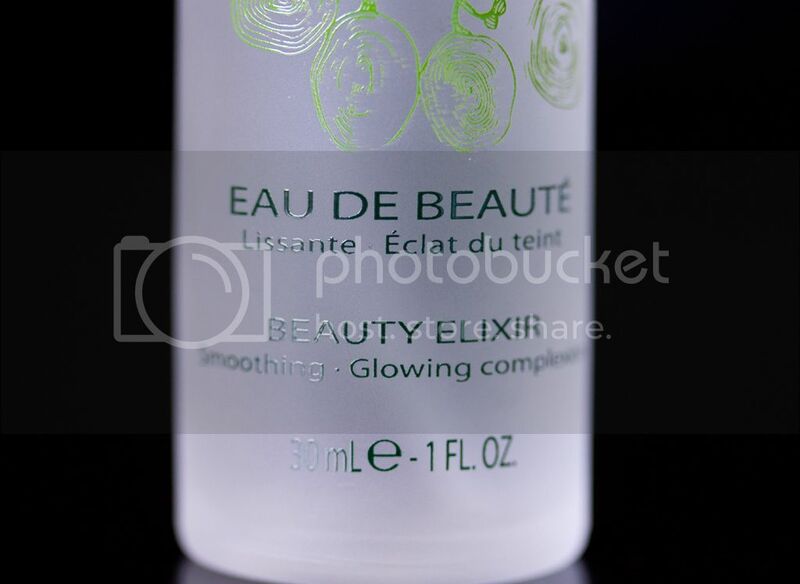 Smooths the skin, tightens the pores, and provides an instant burst of radiance, as it stimulates microcirculation. Scent: Herbal, fresh, minty and fragrant. I like it. It is pleasant. Usage: Anytime, Anywhere when I feel my face needs little boost of energy, freshness and hydration. Application: I keep the bottle 6-8 inches away from my face, close my eyes and use two to three spritz all over the face. The mist from the nozzle is very fine. Feel on Skin: The skin feels cool and there is no tingling sensation. Its like spritzing peppermint water. It is little dewy, but in a good way. It is not shiny, oily or sticky. It did not ruin the makeup nor did it increase the longevity of the same either. There was no drying of skin. It is subtle, didn't make me itchy or break me out. Packaging: A heavy glass spray bottle. Just as simple. Easy to travel with. Verdict: It is a glorified water with fancy essential oils. The product reminds me of toners. Good toners that don't dry. I find the product more effective and fun to use when it is cold. The whole purpose of the product, irrespective of whatever claims they make is to refresh and re-hydrate. I keep this in fridge over night and then carry it in my beach bag or to the pool. I have a couple of DIY recipes for refreshing toners or Beauty mist or whatever fancy name you want to give them and I find them equally effective and fun to use, especially when in pool or beach. 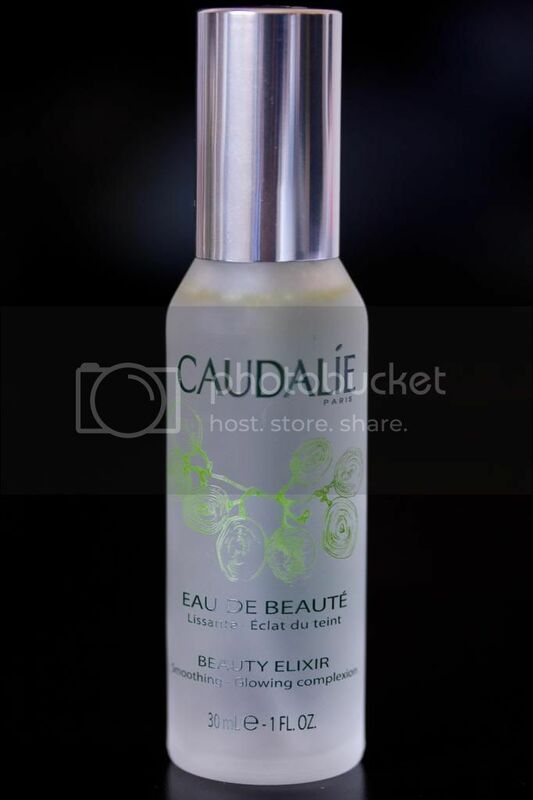 If you are someone who travels a lot (especially flights), I would say Caudalie Beauty Elixir is a good product to keep in bag to just re-hydrate the skin that becomes very dry and dull during long flights. It is convenient to carry. Not a must have, but a fancy good product to have. It comes in this wonderful Caudalie Favorites Kit and is a great way to try many products at a very decent cost. ooo i might purchase one of these for my vegas trip later this year!